Dessert mashups have been lauded as one of the hottest food trends this year. It all started with the cronut back in 2013, but now mutant sweets and puddings are popping up all over, (news of a deep-fried Golden Gaytime in Sydney is reason enough for a weekend away in our books) and Brisbane's best restaurants are getting in on the dessert mash-up action and playing mad scientist. There are two types of dessert mashups to explore — those turning traditionally savoury dishes into sweet and those just mashing together two of our favourite desserts in one glorious pile of yum. They might look a bit kooky on paper (Chocolate nachos? A deep-fried Caramello Koala burger? Gyoza stuffed with Nutella?) but, like Frankenstein's monster, these food freaks are sweet albeit somewhat misunderstood. These are our picks of the best Brisbane dessert mash-ups you need to try. • Beccofino's Calzoncino — a mini pizza stuffed with whipped ricotta and chocolate chips, served with vanilla bean ice cream. • Howzat Burger's Caramello Koala Burger, made from coke battered Caramello koala, with toasted marshmallow and raspberry caramel sauce. (Note: this is not a regular menu item so check out their Facebook page to see when it's appearing next). • Cowch's Mini Sliders — two toasted brioche sandwiches, served with choice of frozen yogurt or ice cream and hot shot. • Harajuku Gyoza's Dessert Gyoza — apple or Nutella banana gyoza served with ice cream. • Chester Street Kitchen's Peanut Butter and Jelly — peanut butter blondie, jelly ice cream and hot chocolate sauce. 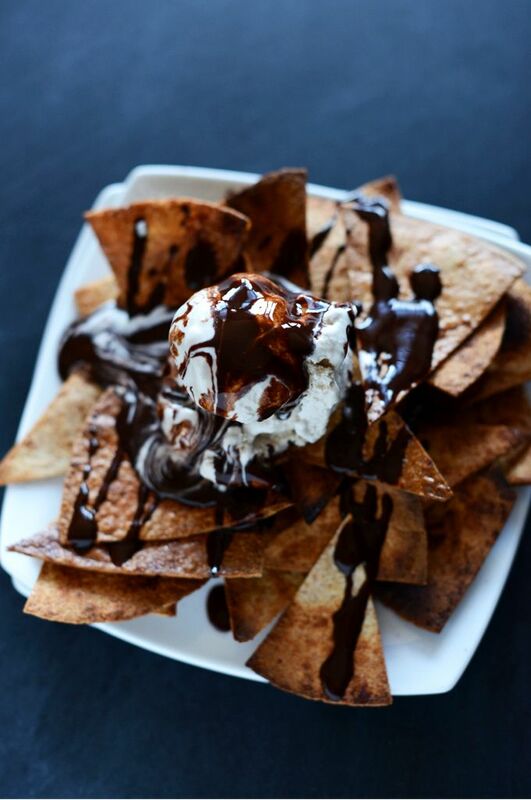 • Burrito Bar's chocolate nachos — Chocolate tortilla chips served with vanilla ice-cream and smothered in chocolate sauce. • Sweet Treats Dessert café's red velvet brownie cheesecake comprising fudgey red velvet brownie topped with sweet cream cheese (Note: not a regular menu item so check out their Facebook page to see when it's appearing next). • Chocolate Pavillion's Macaron ice cream sandwich made from white chocolate ice cream in between two super-sized macarons with chocolate sauce. What's your favourite dessert mashup in Brisbane? And are there any combinations you'd love to see someone tackle? Let us know in the comments below!